PAC’s Summer Musical Theater Camps are open to students entering grades 2-8 and run Monday-Friday from 9-4 in two week sessions. Summer 2018 shows include Legally Blonde Jr., Annie Jr., and High School Musical 2 Jr.
Summer Workshops give students a wide range of skills, from props to dance and drama. Children are cast in and rehearse a theatrical production and learn about theatre costumes, lighting, singing and basic acting techniques. The students explore the theatre through scene study, stage movement, character development, and all of the various aspects of being a cast member in a show. Each workshop ends with a fully staged production that is open to the public. The program offers young people the unique opportunity to develop artistically and socially in a fun, safe learning environment. Discounts, limited scholarships and internships are available. 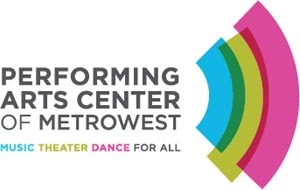 PAC is a community arts center that has been providing high quality, affordable education and performance opportunities in Music, Theater and Dance, for all ages and stages of development for over 35 years. PAC offers individual instruction in musical instruments, voice and acting; classes and workshops in music, theater, and dance; theater performance opportunities for children, teens and adults; a dance therapy program for children with special needs; student and faculty recitals; and performances in the community and other special events. PAC is a 501(c)(3) non- profit organization and an accredited member of the National Guild of Community Arts Education. Varies depending on programs. Limited scholarships available. PAC is located in the lower level of St. Andrews Church, at the intersection of Maple St. and Union Avenue.